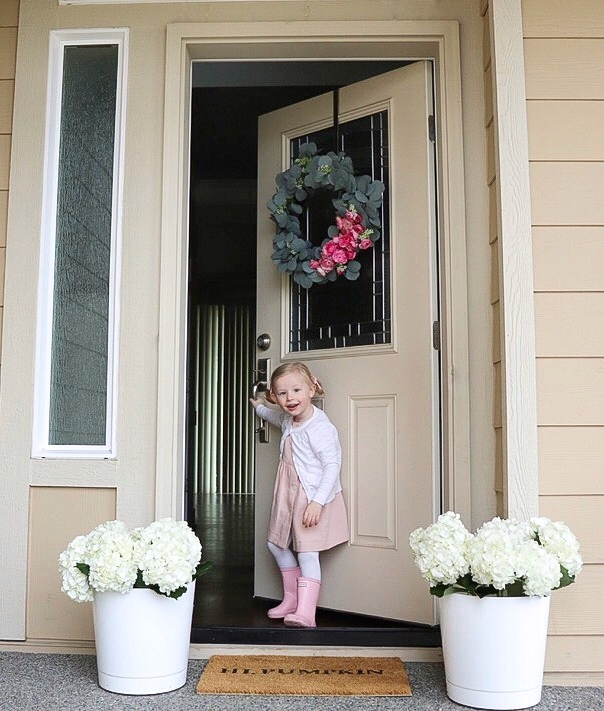 I loved mixing real peony flowers with a faux wreath! Something that came to me while running a back-to-back errand to the grocery store and Target this past weekend (which never happens! Aka being alone). So with spring officially here, I decided to give this idea a try and I'm so glad I did! 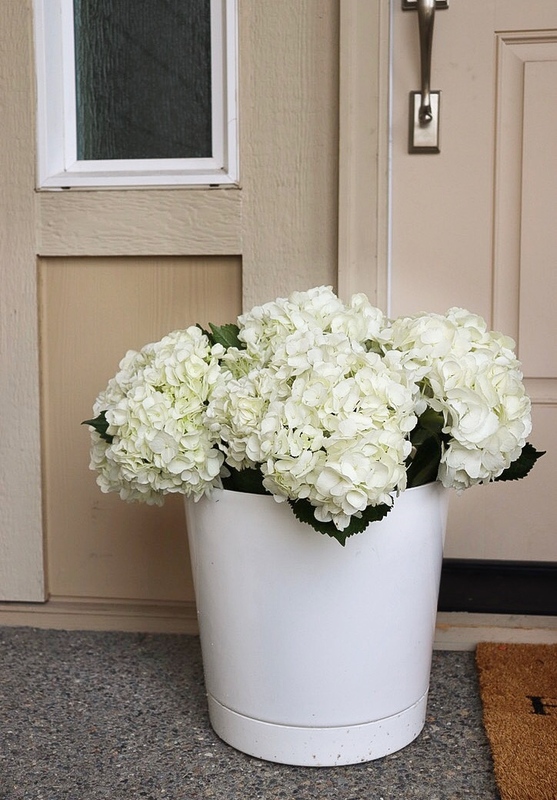 It took 25 minutes to do this DIY which is my kind of project because I have a toddler running around after all! 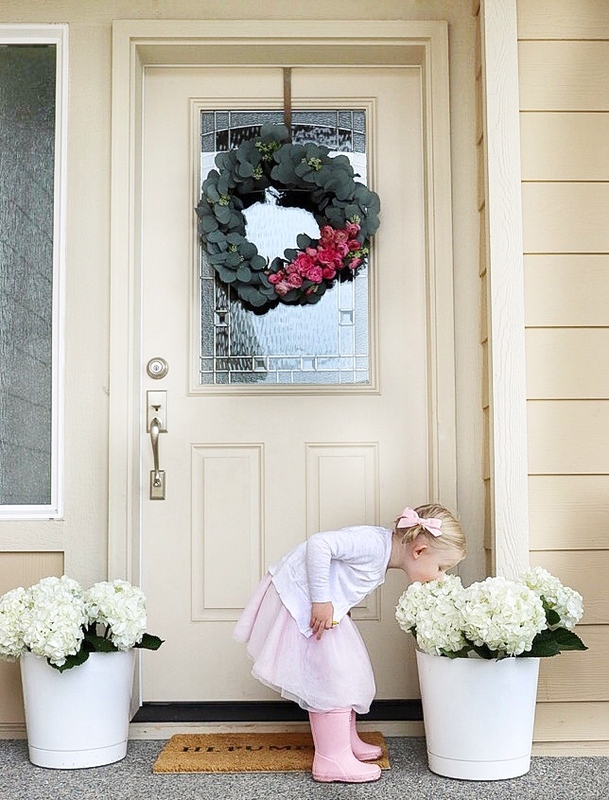 I would keep the wreath as is for a general spring look, and only add the peony flowers when hosting a birthday party, bridal shower, baby shower and or Easter. 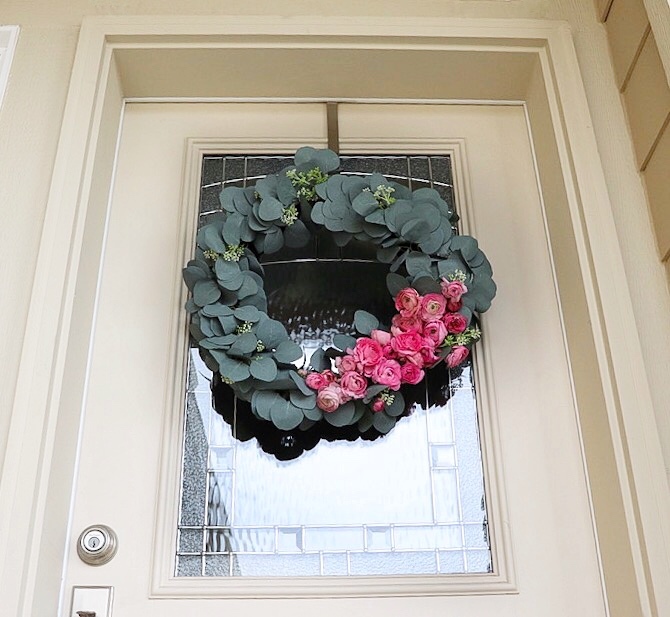 I love how the pop of pink color gives the wreath a more feminine feel, especially with Easter right around the corner! 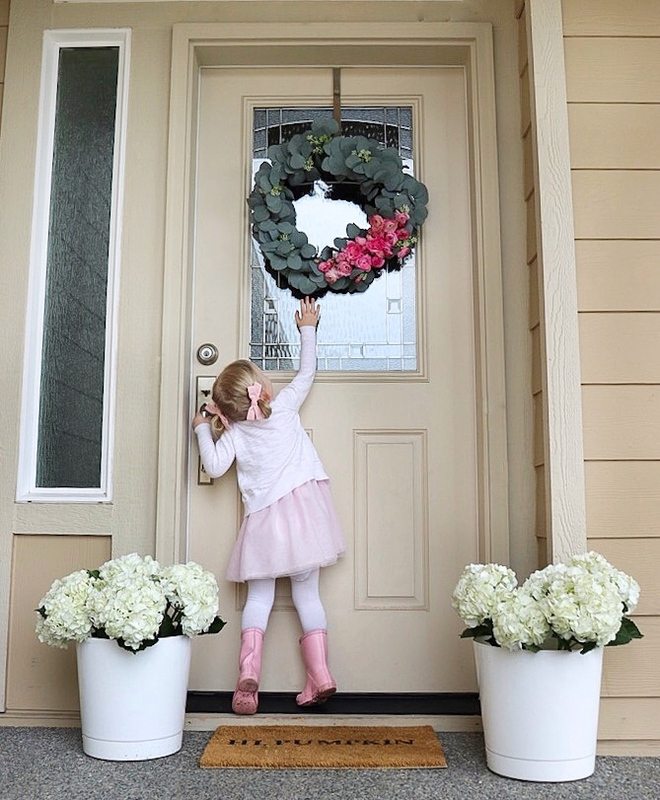 I’m sure there are a ton of different ways you can do a floral wreath and by all means I say go for it! 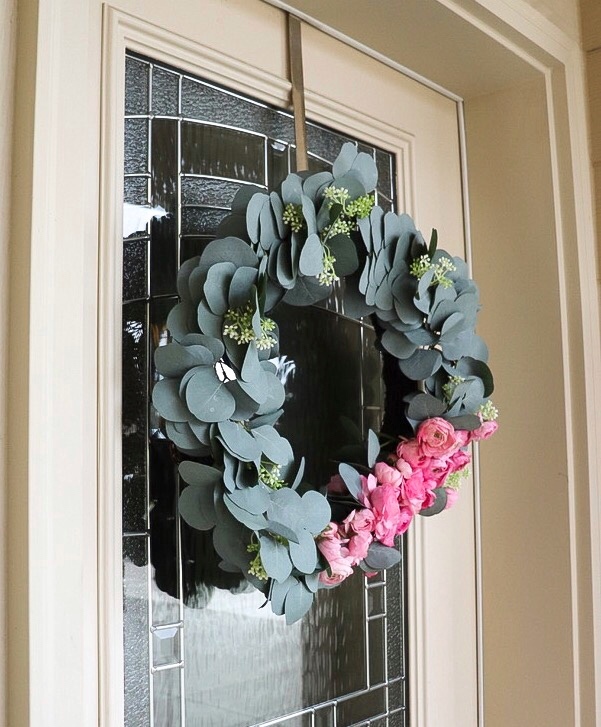 Especially if you want a more permeant look by getting faux peonies and glue gunning them instead (something I considered but decided I wanted to have multiply looks for this wreath). Please note, I'm certainly not a florist! I just decided to make this process as quick and easy as possible so it wouldn’t be a lot of work to take it apart 48 hours later (since this is how long flowers tend to last without water). 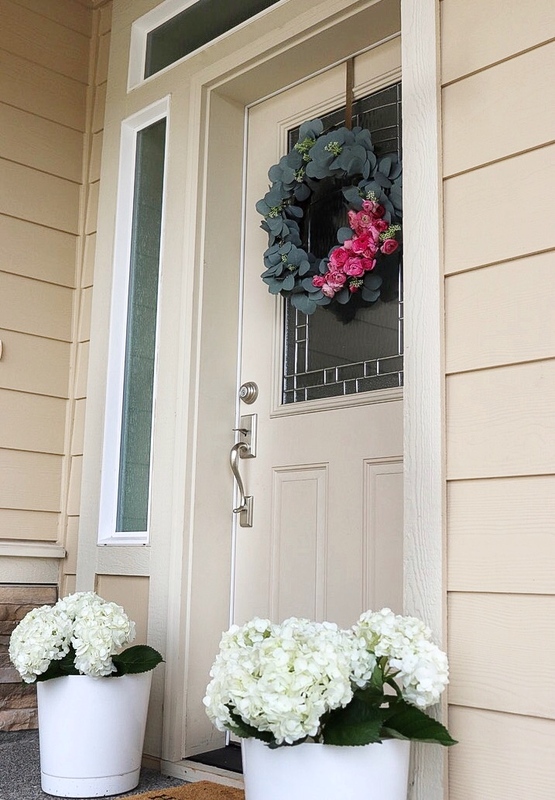 Below is a very quick process on how I decorated this wreath with real peonies. Cut off the peony stem, leaving about 1-3 inches from bulb to base. Stick the peony stem into the wreath base and wrap wire around both the stem and wreath base to temporally attach the flower. Continue step 2 until you have a bundle of peonies at one corner of the wreath with a slow fade out on both ends. Hang on a wreath hook & Enjoy! As always, let me know if you have any questions! And thank you for your readership, as always. You ladies are amazing.